While I walked through ancient Rome and Pompeii, the mosaics on floors, walls, and columns were transformed in my mind to needlepoint pillows, wall hangings, rugs and a myriad of new projects.. Transferring a mosaic design to a canvas had several advantages over the same task for a photo. 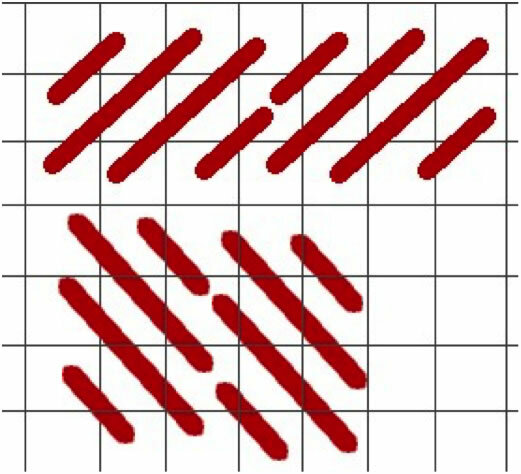 The number of colors is limited, the design or subject is not too complex, and the background is uniform, except for the grout lines. 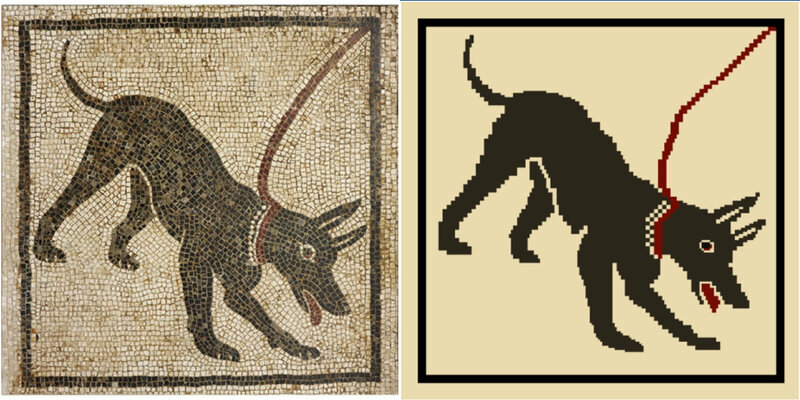 Throwing caution to the wind, I attacked the Pompeii guard dog mosaics from the House of Orpheus – 4 colors and a simple image. The challenge was not creating canvas, but giving the stitched canvas the feel of the mosaic. 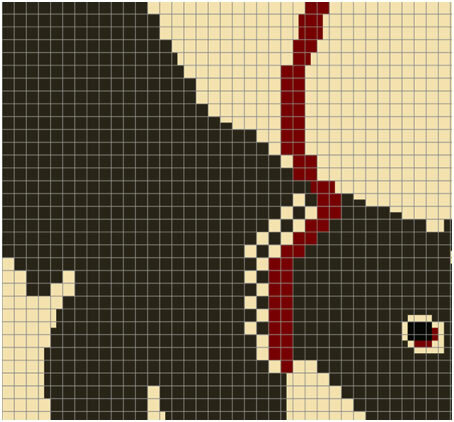 An individual continental or tent stitch was too small to approximate a mosaic tile, but the mosaic stitch is just as its name suggest. 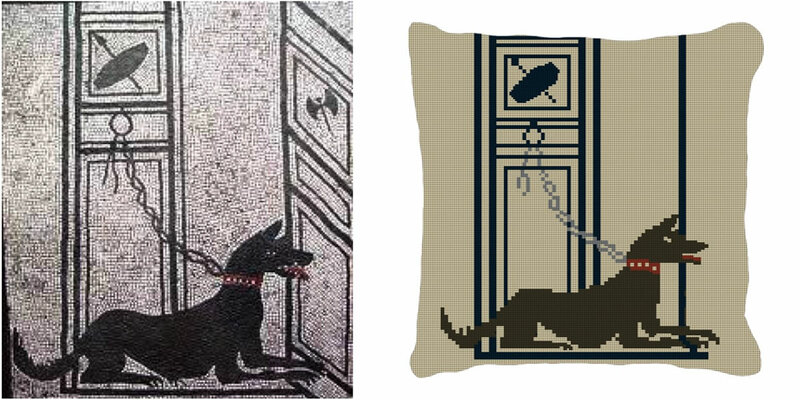 A perfect stitch for the mosaic guard dog! 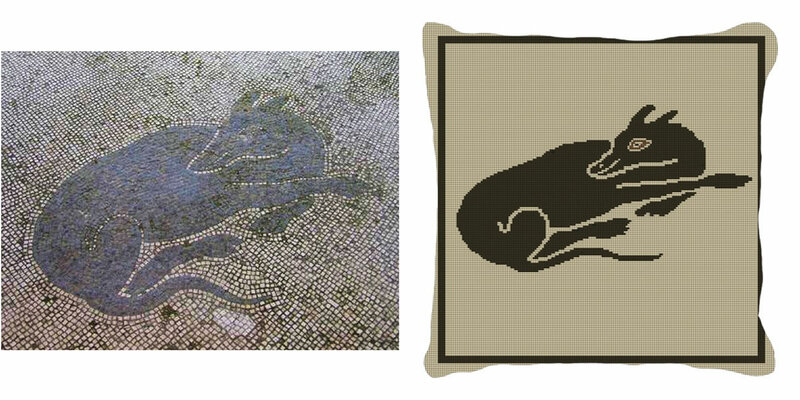 Additionally, the cashmere stitch (a rectangular mosaic) which can be stitched vertically or horizontally could be used to outline the dog as done by the ancient artisans with stone. 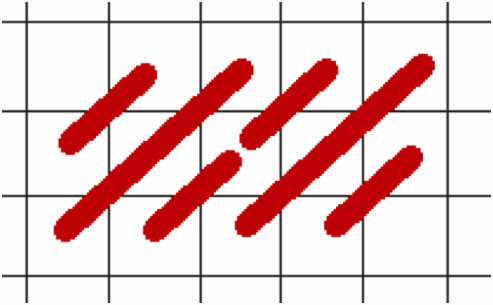 The canvas was designed on a 2 x 2 pixel grid (the size of 1 mosaic) instead of the usual 1 x 1 pixel. Then the number of colors on the image were reduced to 4 – black, off-white, dark brown, and red. There was editing to do to fill most of each grid square with only one color. In some cases, this was not possible and when stitching these areas were filled with the continental stitch. As scene in the finished canvas below, I used the cashmere stitch to outline the dog and the leash. 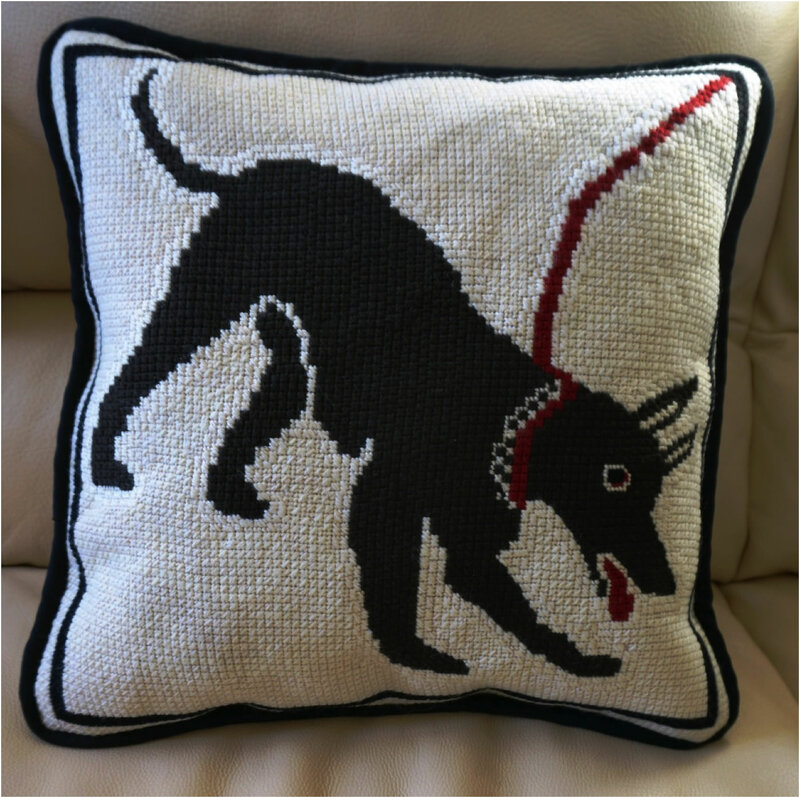 Guard dog from the House of Orpheus Needlepoint Pillow – Finished! The canvas was 12 point and is worked in Brown Sheep Waverly wool for a16 x 16 inch pillow. 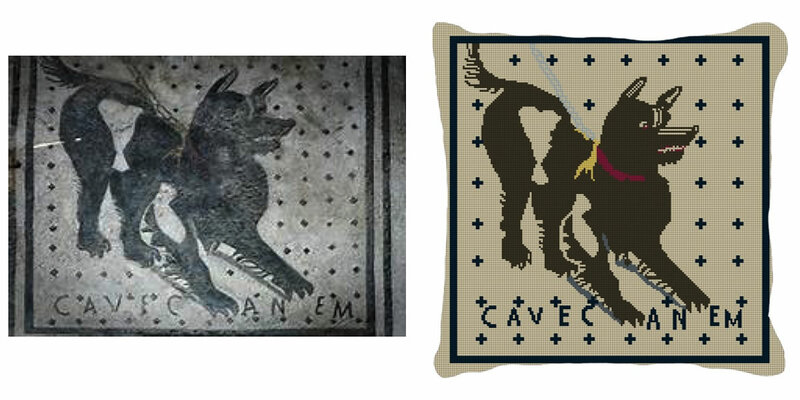 Canvases for three other Pompeii dogs are also available.